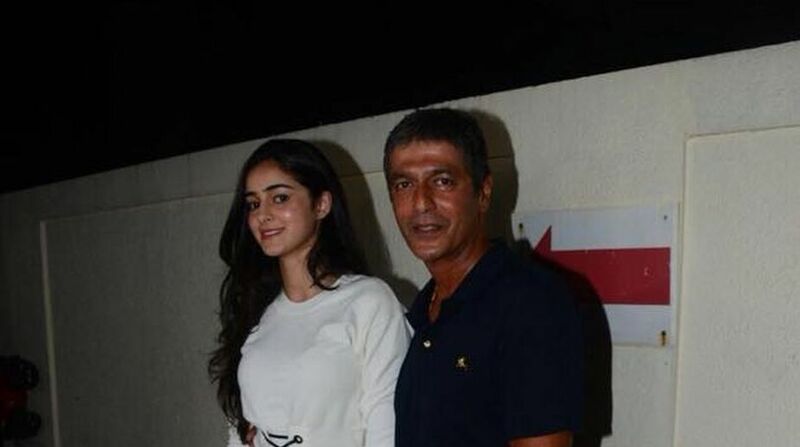 Veteran actor Chunky Panday has spoken his heart about the debut of his daughter Ananya Panday and believes that it was her destiny to make her debut in a Dharma Productions. Ananya, 18, will be making her big Bollywood debut in Karan Johar’s Student of the Year 2 and there are some interesting facts about the to-be-actor’s debut that was revealed to the fans by her father. On Thursday, Chunky told a leading daily how Ananya always wanted to be an actor and how she knew that she will debut in SOTY 2 right after her audition when she was in Class 12. He further added that despite being finalised for the role, Ananya didn’t want to act on the expense of her education as she believed it was important to complete her education and that is probably the reason why the announcement of the film was delayed for a while. Interestingly, Chunky is both nervous and excited over his daughter’s debut. Chunky said he couldn’t have asked for anything else than seeing his daughter’s debut in one of the most prominent production houses of Bollywood. Chunky also told the leading daily that Ananya got to know about her part in SOTY 2 two days before her exams and it was quite a surprise for the entire family. Directed by Punit Malhotra, Student of the Year 2, also features Tiger Shroff and Tara Sutaria. The movie is slated for release on November 23.